With Readly you can read Planets & The Solar System The Complete Manual and thousands of other magazines on your tablet and smartphone. Get access to all with just one subscription. New releases and back issues – all included. 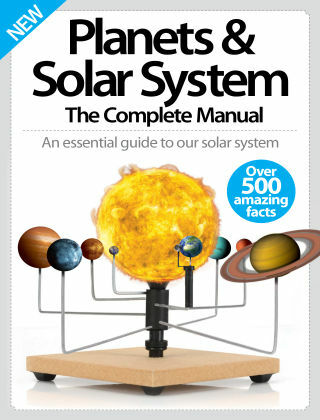 Discover Earth’s place in the Solar System and how it compares to its neighbouring planets in this pocket-sized guide. Learn all you need to know about each planet from Mercury to Neptune, and even gain an understanding of Pluto and why it’s not strictly a planet with the latest news from the New Horizon. Which planet has the most dangerous atmosphere, or the most moons, or the most potential for life? You’ll find the answers to these questions and many more within these pages.